TWN partnered with Matrix Diversified Industry (MDI) to offer a vast array of camouflage and decorative patterns on Magpul furniture kits. Starting with the ruggedly dependable and highly sought after MAGPUL furniture gave MDI the best launching pad to achieve success in an already crowded field. If you want something to make your AR-15 unique with your personality, take a look at the new MDI offerings. 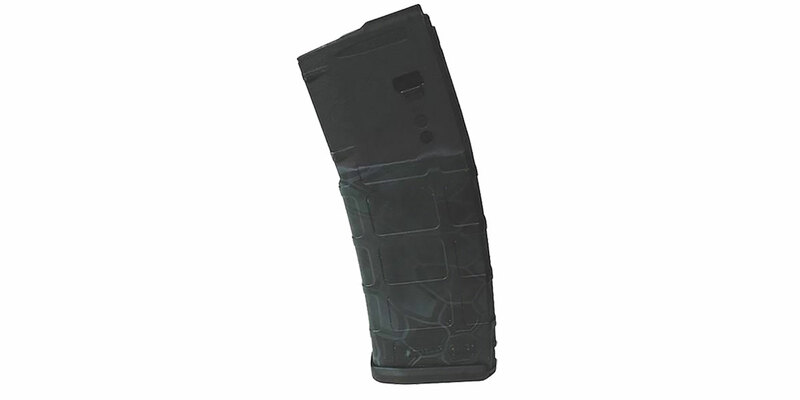 These magazines are genuine Magpul PMAG30 AR/M4 Gen M2 MOE featuring a variety of custom finishes from MDI. These 30 round, 5.56x45 NATO (.223 Remington) magazines feature an impact and crush-resistant polymer construction with constant-curve internal geometry for smooth feeding, and an anti-tilt, self-lubricating follower for increased reliability and a USGI-spec stainless steel spring for corrosion resistance and field compatibility. These mags also have a textured gripping surface and flared baseplate for positive magazine handling and easy disassembly.